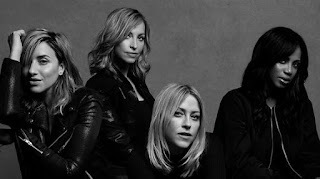 SnapCacklePop: All Saints return with new single..! All Saints return with new single..! This news has had us patiently waiting for months and the day is finally here. One Strike is the new track from reforms UK girl band, from their forthcoming fourth album Red Flag. What's it like? It's like a new version of Pure Shores, but we warn you its a grower, so listen a few times. We are now loving this track..! Get your copy on iTunes now..!